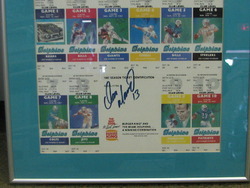 1987 Burger King Poster with Dolphins schedule signed by Dan Marino. 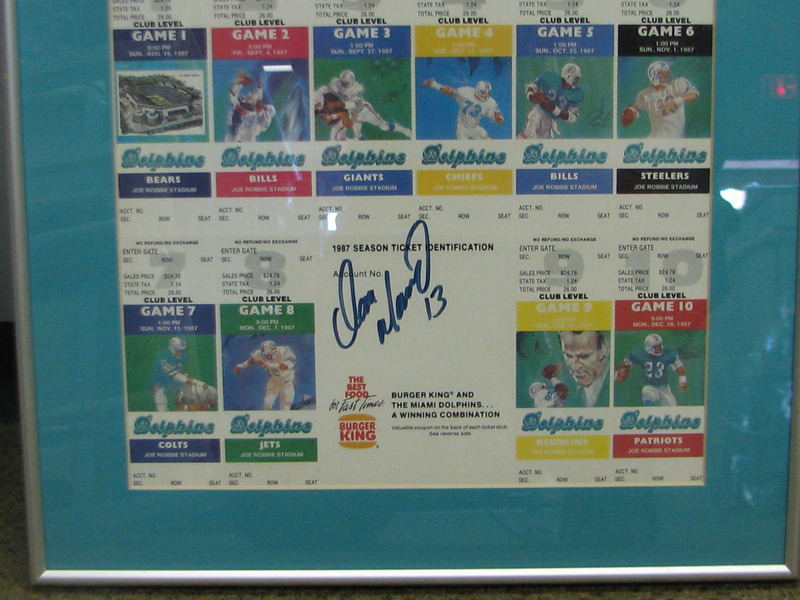 Dan Marino signed Burger King poster displaying tickets and schedule for the 1987 season. Original COA from Gold Coast Sports Promotions. All items are deemed AUTHENTIC with a LIFETIME MONEY BACK GUARANTEE on the FULL PURCHASE PRICE.